Everybody knows Nintendo for their video games. And I’d bet you thought Nintendo just did video games, but you’d be wrong. 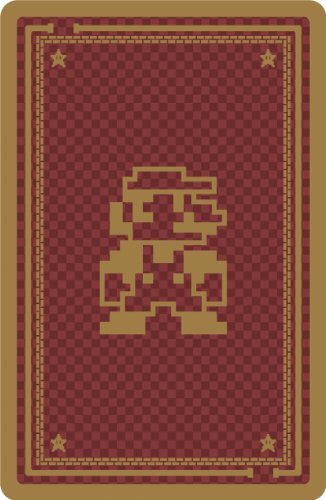 These Super Mario Playing Cards are a great throwback to Nintendo’s origin as a playing card maker in Japan (true story). Did you know that Nintendo got its start in 1889 making playing playing cards in Japan? Well, they did. Go ahead and check the link because I know you don’t believe me. 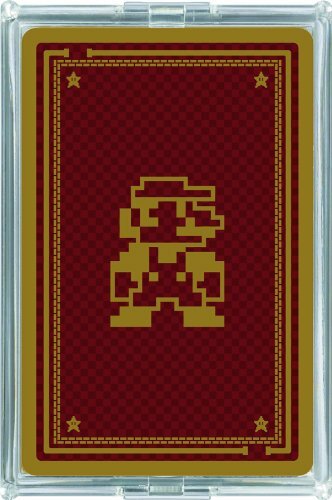 This standard deck of playing cards combines Nintendo’s origin and many people’s first experience with the company – Playing Super Mario Brothers. If you’re old enough to remember the original NES version, you’re sure to recognize many of the graphics and characters from the game on these cards. Even the numbers have that classic “8-bit” pixilated feel. If you’re not the nostalgic type, you have to admit it’s a pretty cool deck of cards and would be a great gift or stocking-stuffer for any and all video gamers you know. Dimensions: 4 x 2.6 x 1 inches. Standard 54 card deck with 2 jokers. Play all of your favorite card games with Mario, Green Mario (little brothers will know), Bowser, and other classic Nintendo characters.